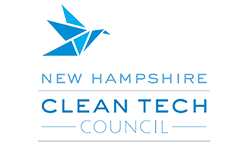 Newport, NH — The Selectboard voted unanimously on Monday night to authorize Town Manager Hunter Rieseberg to draft a letter of intent with Norwich Solar Technologies and prepare necessary documents for a power purchase agreement for a roughly 1.75-megawatt solar array that is projected to supply all the power needed for town and school facilities. The agreement will need approval by voters at Town Meeting in May because the lease is for 25 years. Any lease of more than five years needs voter approval per state law, Selectboard Chairman Jeff Kessler said. Don McCormick of the White River Junction-based Norwich Solar Technologies previously had made a presentation for town facilities only, but was asked to return with an updated proposal that also included power needed for the school district’s buildings and Richards Free Library. McCormick said the main array on a field along the Sugar River near the town’s wastewater treatment plant along Route 10 would be 1.45 MW, which would meet the town’s needs of roughly 1 MW, and also would provide some of the power to the schools. McCormick told the board they could place more solar panels on some of the schools’ roofs to reach 1.75 MW. Placing the panels on the schools also would allow for an educational opportunity for students, he said. It has not been determined which school buildings would be used. Other possible locations, if the schools are not used, include a closed landfill and water pump stations. The costs for the design, permitting, engineering, construction and maintenance of the array is all borne by Norwich Solar and its investors, who can take advantage of investment tax credits. The savings for Newport would come from the difference between the lower cost of solar power and the market rate for a more traditional source of energy production. Exactly what those savings will be depends on the fluctuations in the price of the energy during the life of the contract.